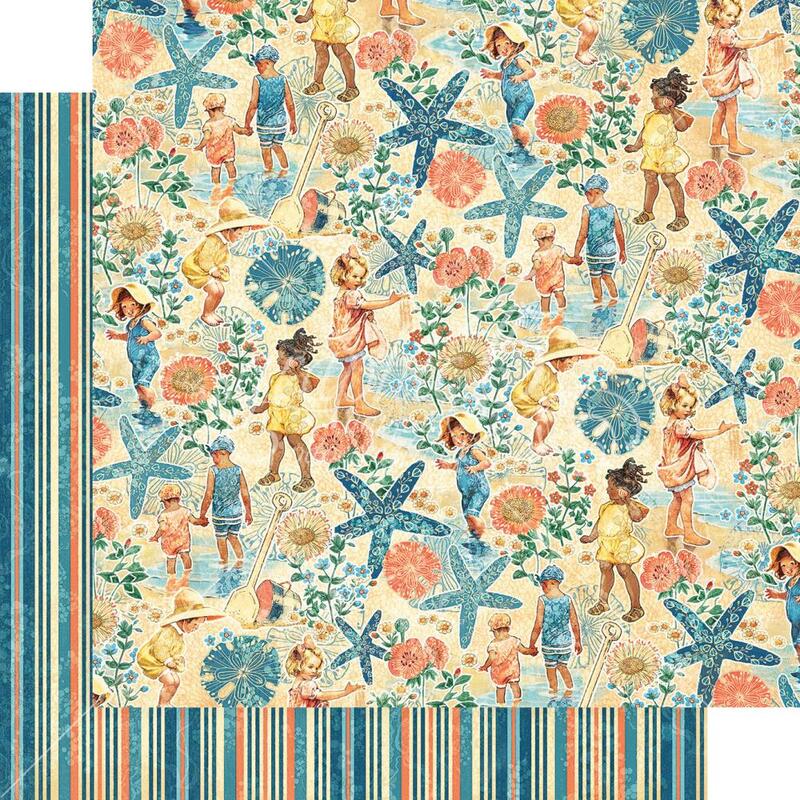 This 12x12 double sided Designer Paper has Children playing among a Beach Scene on the frontside. The reverse side has Multi-colored Stripe. Look for coordinating Ephemera Journaling Cards, Chipboard Elements, Sticker Sheet & Designer Cardstock. Part of the Sun Kissed Collection by Graphic 45.